In a surprising arts funding turn, the Washington DC-based National Arts Strategies, which Cuyahoga Arts and Culture had proposed to run its individual artist program, has withdrawn its proposal for that program. Cuyahoga Arts and Culture made the announcement Tuesday. CAN left messages, but was unable to reach National Arts Strategies to learn the nature of their discomfort. It is likely that they got wind of local artists’ reaction. CAN first heard Monday evening from Cuyahoga County District 5 Councilman Michael Gallagher that National Arts Strategies had “pulled out” of consideration to run its Creative Communities Fellowship program here. District 2 Councilman Dale Miller later confirmed the same understanding of the situation. That sends plans for individual artist grants back to square one. CAC seems to have decided specifically not to work with the Community Partnership for the Arts and Culture on the proposal, which has run the Creative Workforce Fellowship program since its inception. “The Creative Workforce Fellowship ends December 31, 2016.,” the statement read (emphasis theirs). That makes artists wonder if there’s not something behind the scenes going on. As textile and installation artist Christine Mauersberger says, “While there is always room for improvement in any program, I think the Community Partnership for Arts and Culture has ceaselessly worked to have an open dialogue between the artists and the greater community in Cuyahoga county.” Mauersberger was a Creative Workforce Fellow in 2013. CAC director Karen Gahl-Mills was not immediately available for further comment. The decision still leaves many questions still unanswered. 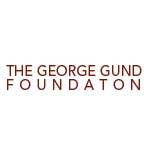 Equally important, if not as pithy, however, are questions having to do with the intent and impact individual artist grants can have, or should have. For the public funder to specify the type of individual artists’ work it supports is to change the direction of art making in the county. Artists objected to the fact that the NAS Creative Community Fellows program would have emphasized community engagement–which they view as the province of outreach programs administered by nonprofit organizations. It also placed substantial emphasis on training for more community engagement–an investment of time and energy many artists view as taking them away from the focus of their work. They note that the work itself is exhibited in galleries and featured in art walks and as such has made enormous contributions to Cleveland neighborhoods. “It is inefficient and counterproductive to place the burden of any community intervention on the backs of artists by reducing the grant monies given and asking artists and others to spending 8 months learning how to be a business person, understand community, learn to network with partners, and learn how to create a budget for their project idea while given a stipend that is equal if not less than what a minimum wage job pays,” Mauersberger said. Artists also note that the overwhelming majority of CAC funding supports that already. Outreach and community engagement are a significant factor in the criteria for General Operating and Project support grants for nonprofit organizations. Those organizations –which receive more than 95 percent of CAC’s funds–have staffs dedicated to providing community access, experience, and education through the arts. Zygote Press director Liz Maugans, who won a Creative Workforce Fellowship in 2013, says the program’s reach could be extended in different ways–for example by making more grants in smaller amounts–while still emphasizing the art work itself, and leaving the artist free to focus on that. She also suggests that artists should only be permitted to win the award once, adding that having done so, she will no longer apply–whatever form the individual artist grants eventually take. It’s also noteworthy that CAC has specifically put an end to the Creative Workforce Fellowship, which was administered by CPAC–which happens to be the research and advocacy organization that built the case for public funding of the arts here in the first place. CPAC director Tom Schorgl did not immediately return calls for comment. What lies ahead would seem to be a discussion of what form the program will take going forward, and who will administer it–including whether that would be another entity based in Cuyahoga County. While the CAC Board will take no action on the matter at its December Board Meeting, they will take up discussion of the situation. Artists who have something to say about individual artist funding and the development of a new plan are encouraged to attend, at 3:30 pm Monday, December 12, in the Miller Classroom of the Idea Center on Playhouse Square. 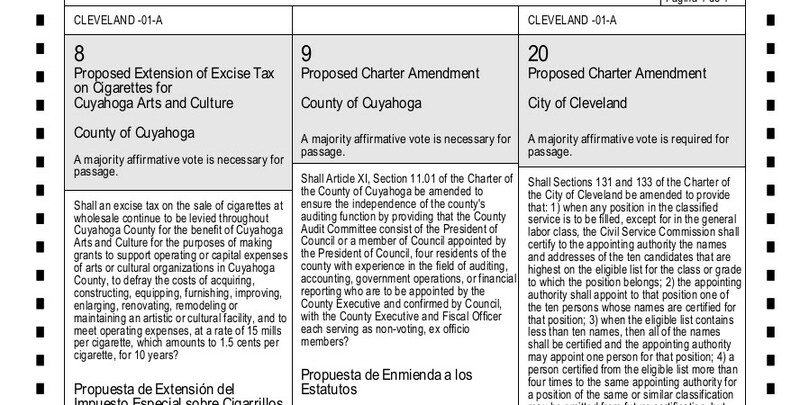 Collective Arts Network is profoundly appreciative of the citizens of Cuyahoga County for their support of the Arts through the cigarette tax. 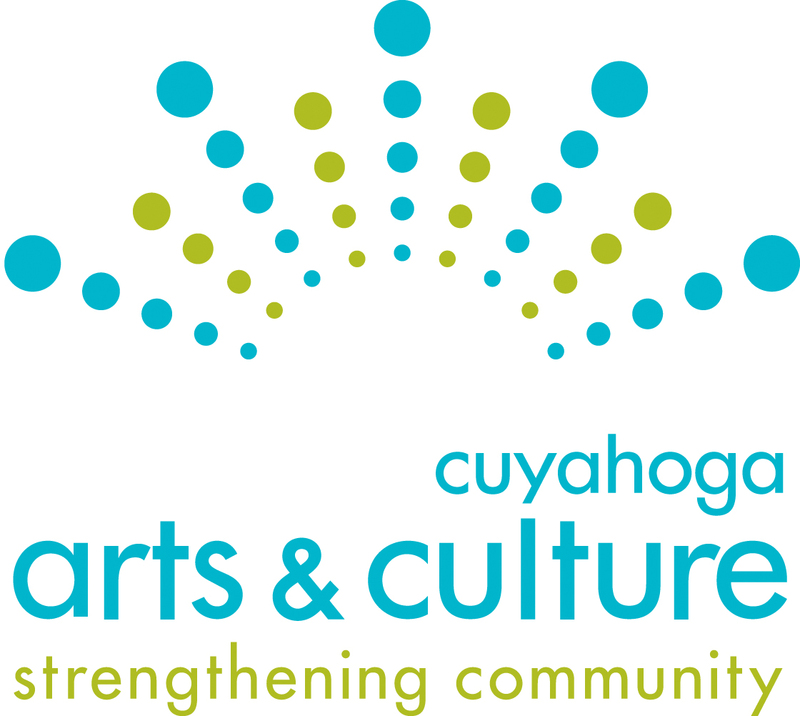 We are also profoundly grateful for Cuyahoga Arts and Culture’s work to administer those funds. CAN recently became eligible to apply to CAC for project support, and at CAC’s November, 2016 meeting received official word that $4000 grant for a series of four stories in 2017 has been approved. The stories will focus on various efforts to extend Cleveland’s reach as an arts market.